What Are the Duties of the Groom's Aunt & Uncle? 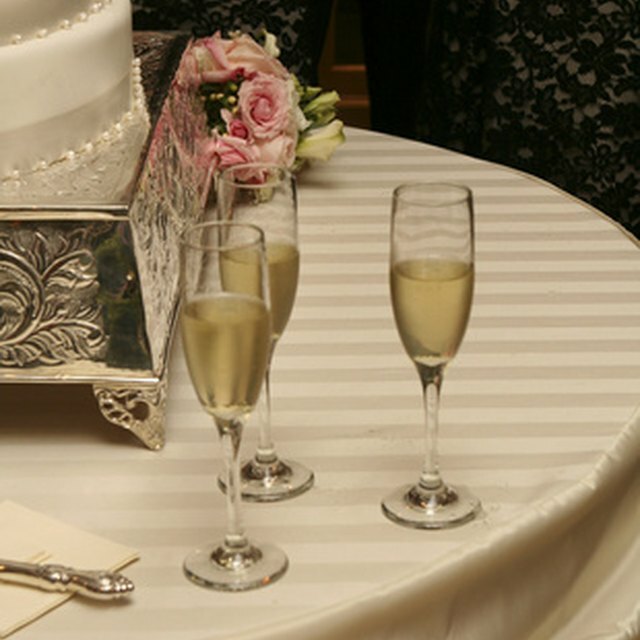 Toasting is a traditional part of a wedding reception. 4 What Are the Duties of the Groom's Aunt & Uncle? 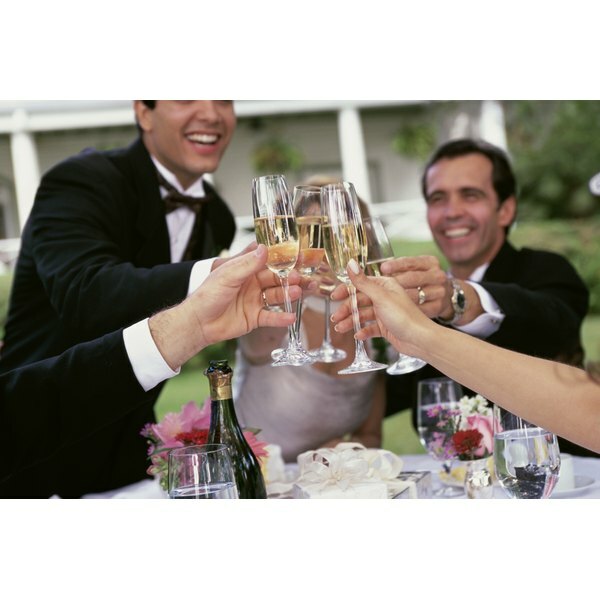 Toasting is a traditional part of a wedding reception that allows members of both families, the bridal party and invited guests and friends to share memories and wish the new couple well. Many people think of toasts to the bride and groom when it comes to wedding toasts, but some couples opt to take a less traditional route by thanking both sets of parents as well. A guest may be chosen for this honor, particularly if he knows the groom's family well. A guest may toast to the groom's parents for helping to shape the groom into the man he is today. If the groom's parents participated in the wedding planning, they should be recognized with a toast as well. Moreover, because the groom's parents will play a pivotal role in the lives of the new couple, a guest may opt to wish the new extended family well. Examples of toasts from a guest to the groom's parents may consist of simple well-wishes. It might go as such, "We would like to take this opportunity to thank Mr. and Mrs. X for raising such an upstanding gentlemen in the groom. You put your heart and soul into (insert groom's name here), and now he can learn from your example and put his heart and soul into building his new family. To the parents of the groom." Another good example might be: "I've known Mr. and Mrs. X for some years, and they have always devoted a great deal of their time, love and energy into (insert groom's name here). And now, on his wedding day, it is only fitting that they stand with their new family members to honor and appreciate his willingness to commit his life to another. And they must be overwhelmed with pride to know that their shining example led (insert groom's name here) to make one of the best moves of his life in marrying (insert bride's name here). To the parents of the groom." When you choose a guest to make a wedding toast to the parents of the groom, be sure to choose someone who knows the groom and his family well. The last thing you want is someone who isn't familiar with the family stumbling over the words of the toast. Also, instruct your guest to keep witty banter and jokes to a minimum; generally, if you are honoring older members of the family, you want to be respectful and sentimental. There are other toasts that a guest can make to participate in the wedding. He may toast the wedding planner for a successful wedding event or make a personal toast to the bride and groom, if he is a close family friend. A wedding guest may also make a toast to the entire wedding party as well as to both the parents of the groom and the parents of the bride. The number of toasts depends on the number of people at your reception and how long you want this portion to last. Who Gives a Toast at the Rehearsal Dinner?